The largest investment most of us will ever make is in the purchase of a home. Buying a home-particularly your first home, or the home you plan to raise your family in-is an anxious and stressful process that occurs over months, and can be the best or worst decision you ever make. For families everything from school districts and crime, to proximity to a job, to traffic and weather, and much more depending on the person or family, play into the choice; for older couples seeking a down size from their family home now that the kids have moved on, or who are looking for that perfect vacation home, location to amenities such as shopping, dining or scenic views, as well as aspects like standards that preserve the peace and beauty of where they live become more important. For first time buyers the process is particularly stressful, but regardless of the situation, everyone purchasing property of any kind must eventually deal with the Real Estate purchase agreement they sign-typically the most stressful aspect of buying a home. Your Real Estate purchase agreement is exactly as it says-it contains the terms and conditions under which you are agreeing to buy your home (or property). Even though there are generic contracts that can be found online, state requirements do vary, and they can become much more involved if you’re buying an investment property, or a property for the purpose of opening a business where county and city requirements can be involved. In the purchase of a home, your purchase agreement is where you will find items such as inspection requirements; requirements by the seller to fix specified issues found in any inspections; and your closing date. Renters of single-family homes using some form of rent-to-own option will also have to sign and agree to this purchase agreement. In and around Fort Myers and Lehigh Acres, home buyers and renters should be aware of an additional element to purchasing agreements: community standards. Among the dozens of gated communities which dot our area, and all of southwest Florida, home buyers should be wary of what community standards they are agreeing too, if you’re buying a home in one of these gated communities. Often times these community standards are presented as a separate document due to the fact they can cover everything from whether or not you can have a business vehicle in your driveway, or what color you are allowed to paint your house. Given that much of Lehigh Acres is subdivided, buyers in these areas won’t have to concern themselves with the differences in community standards in the purchase of their home. However, as with anything we buy-especially when it comes to the biggest investment most of us will ever make-it is buyer beware. 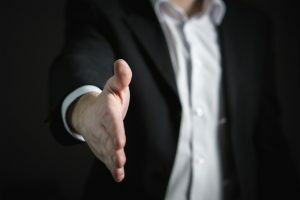 All buyers should read their real estate purchase agreement thoroughly before signing for something that the financial ramifications of will impact the rest of your life, and it is the job of a licensed Realtor to steer you through this process and help you avoid making a decision that could bring you to financial ruin in the future. Here is a little bit of the buzz around our area of Lehigh Acres and Fort Myers. I hope you enjoy it. A major concern has arisen in our local area regarding water quality. Members of the public have voiced their concern due to the water quality questions that have been raised. This issue affects all of us. According to the Lehigh Acres Citizen, red tide and blue-green algae blooms have effected a great deal of damage to the region’s economy. Due to these toxic water events, public health and the economy of the area has been affected. On Monday, October 15, there will be an Economic Water Summit at the Broadway Palm Theater in Fort Myers from 6 – 9 pm. to address these growing concerns regarding water quality in our area. As a real estate agent, the health of my clients is of utmost concern. It is my hope that this issue will be carefully studied and any necessary steps will be taken to keep our water quality standards sufficiently rigorous to maintain the health of our residents and to ensure that our great quality of life and economic health continues. After all, everybody drinks the water. Let’s look at some examples of the open floor plan single story home. I love the Great Room concept. 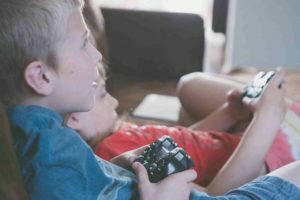 An active family can carry on various activities such as watching a show, gaming or cooking dinner at the same time and still spend time together. 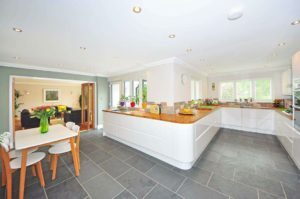 People who live in homes with this kind of open floor plan say that they believe that they spend more time together simply because they are not separated in various rooms of the house. 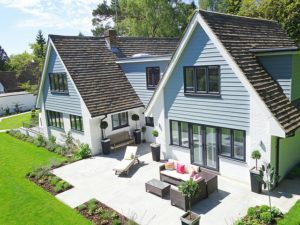 Choosing the right home style can actually have an effect on how your family lives and works. This is a great opportunity to help your environment foster a better family life overall. Great Room designs can be very beautiful and casual at the same time. A typical Great Room design will have spaces for diverse activities at the same time. In this great room design, the media center is placed in a space of its own, allowing relaxation and conversation to take place, yet with a few adjustments it becomes a very comfortable place to watch your favorite movie. The polished re-purposed wood floors and simple wood blinds over wide open windows are a beautiful choice to bring the great outdoors inside your home. The flowing open floor plan is another great choice for a single story home. 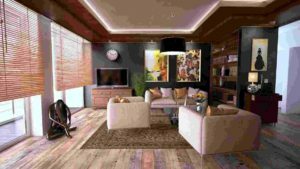 A flowing open floor plan can serve many different ways, such as efficiency and casual comfort for a busy family, or a less cluttered environment for elderly residents who need a bit of extra space. This particular image shows an excellent choice for a Baby Boomer who plans to age in place. This design incorporates an open floor plan while providing division of space for relaxation, cooking and dining. The tile flooring is a great choice for easy maintenance and handicapped access. Wide butcher block counters and the smooth cabinet design give this home a sleek, modern look without feeling hospital – like. Young families enjoy great room home styles, too. A smaller, more affordable home can feel just right with a great room. If you don’t mind your house guests seeing a bit of clutter, it can be a great choice. Kick back and relax over a video game together while another member of the family reads a book. Space is utilized to the max; there is no wasted space here. Many small families choose an open floor plan with additional rooms for baby or a study in the back of the house. A four (or more) bedroom home can accommodate quiet spaces along with a large, more social space. This kind of arrangement is also very appealing to couples who entertain often. If you are fond of entertaining, an outdoor space is another great opportunity. This is another way to make the most of your living space while enjoying the outdoors. An open area to a lovely landscaped area outside is a great addition to your home and will be greatly enjoyed by visitors. If you would like to know more, Freestyle Interiors has some terrific great room concept images on their web site. These interior designers can help you make your smaller single story home fabulous! Here at Achievers Realty, we are anticipating a great spring and summer for sales in Lehigh Acres. We are seeing a lot of buyers in our office. Some sources are saying sales have been “crazy” in our area, but we know that this is the result of a healthy rebound from the recent dip in property values. We are seeing a lot of activity and sales… well, they really have been the best since the recession. Why not, with such a great place to live? It is very affordable, and of course we boast our famous Florida weather. The word seems to have gotten out about our friendly community and its beautiful parks, including Harn’s Marsh and Caloosahatchee Regional Park! It is a seller’s market in our area right now. This is great news for the sellers and the buyers of Lehigh Acres, because sellers are receiving maximum value and quick sales…and buyers are still able to get a great place to live with affordability. Last year, the News-Press celebrated a 6 % property value increase over one year, but we are seeing much more than that so far this year. What does this mean for property values? Property values are spiking nationwide. Demand exceeds supply and property values are increasing. Comparing property values on Zillow, for example, one home is listed at $179,900. According to Zillow’s approximation, it was valued at $171,000 in March of 2018. The value shown in March of last year was $141,000. A beautiful 2,047 sq ft home with a sun room and enclosed pool is only $269,900… very affordable compared to other areas. The asking price on this home is $40,000 more than its estimated value one year ago. This kind of return on the sale can benefit sellers who want to move to a larger or smaller home. There is still some good inventory for buyers to choose from. Property values in Lehigh Acres plummeted in 2009, along with those across the nation. Our area was not as quick to rebound as some areas, but by all indications, property values are rebounding and then some, and hopefully that trend will continue for some time to come. With values climbing as they are, investors will surely find their way as well. That means good news for you if you are thinking of selling. We have buyers available who are looking for a home like yours. Last month, Governor Rick Scott designated Low Tax Opportunity Zones in Lehigh Acres and the surrounding area. This move is calculated to encourage investment in our town and benefit our economy. That is another piece of really good news for Lehigh Acres. “Lehigh’s business community is growing and has been since the beginning of the economic recovery, officials said, adding all arrows indicate that won’t change in the immediate future. A number of new businesses, including a pair of seafood restaurants, have opened and other have moved to the industrial complex on Lee Boulevard from Naples, attracted by the lower rent and better availability in Lehigh, said Mike Burgers, who just stepped down as Chamber chair. As the residents of Lehigh Acres enjoy the resurgence, it is good to remember that we have friends and family and to enjoy life together. Quality of life comes in many packages. Achievers Realty will be happy to complete a home value analysis for you so that you have good information on which to base a decision. Meanwhile, I think we will take a walk around Harn’s Marsh and maybe throw a burger on the grill when we get home. It is going to be another beautiful day in Florida. The new homes in Lehigh Acres can be very appealing to a buyer. There are some lovely new homes in town and we would love to help you find one. There are benefits in buying new construction. Obviously, everything is new. That means a new roof, new paint and more. The buyer can be assured that it will be a long while before repairs would be necessary. There is also the undeniable enjoyment of being the first to move into a new house, and you get to make it your own. 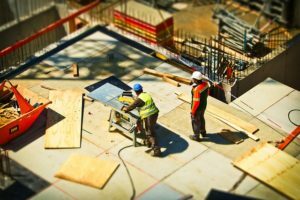 When you think of buying new construction, there are a number of ways you can go. You can purchase a home from a developer, in which you choose from a variety of floor plans and varying square footage. Alternatively, you may choose to hire a builder to construct a custom home. Your options are limitless. Do you want a sun-room or a gourmet kitchen? Build it into your new home! Today in the listings there are newly built homes on the market for as little as $127,000 for a three bedroom, two bath starter house, or a stunning 2,007 square foot modern Spanish style with dramatic front lighting and a designer kitchen for only $365,000. We never get tired of touring these homes, admiring the unique design touches and landscaping. We are happy to take you along. Maybe something will grab you, and you will have your new place just like that! Under Florida law, new homes carry certain implied warranties of fitness and quality of work. These provisions are meant to protect the consumer and give him or her recourse against shoddy work. These kinds of issues, however, are uncommon. Instead of worrying unduly over such things, enjoy spending your time picking paint colors and counter-tops! That is loads more fun! You will want to find a good lender for your new construction. Depending on the circumstances, financing new construction may be easier, or more difficult! Your lender can spell out the requirements for your situation. Many homes in Florida have a distinctive look, sprawling stucco and palm trees in the front and often a pool in back. Trust us, you will be the envy of your northern family and friends. You might also have more company than you expect in your newly built Florida home! A beautiful modern kitchen can really make the difference. They say the kitchen is the heart of the home. You might like ornate cabinets and a painted china hutch or a sleek ultra – modern look. You have all of the options to choose from in a custom home, and plenty also when buying from a developer. Designers have provided color palettes and coordinating materials for you, and you get to pick and choose and know that the end result will look fantastic! Or, you can go your own way and custom order. The builder will try to accommodate you and put in what you want. Often a home purchaser will choose to put in her own landscaping. The features that you choose can add significantly to the beauty of your home. You might consider a water saving rock garden planting with a grassy area, or you could choose a water feature instead. Lovely! You can find many great ideas for landscaping here. This site specializes in Florida “Landscaping in a Box,” a sort of do – it – yourself landscaping kit. They supply images of complete landscapes and you choose the plant combinations you like, or substitute some of them for other types of plants suitable for our Florida climate. If you want a pool, the best time to put one in is during new construction. One pool builder in Lehigh Acres can install for as little as $15,000. You won’t get all of your money back for the improvement when you sell, but it is for enjoyment anyway, and it does significantly improve the value of your property. Well, once again it is time for us to get out there and enjoy our little patch of Florida. Writing about the landscaping has made us think of putting in a new plant or two. Maybe we will head over to the local plant nursery, and if so, maybe we will see you there! It is an exciting undertaking when you are ready to purchase your new home! You want to ask the right questions and get the right answers in this important endeavor. If you have never purchased a home before, we are guessing that there are a lot of questions in your mind. We are experts in buying and selling homes in Lehigh Acres, Fort Myers, Naples and the surrounding area. At Achievers Realty, we have worked with many first time home buyers in the past, so we have a pretty good idea of what you are going through. Your real estate agent is your best ally when it comes to getting your questions answered. Go ahead and give us a call! Q: How do I view this home that I have found? A: Your agent at Achievers Realty can show you almost any home that you find. However, if you are like most buyers, the home you find may not be the best home for you. That is because your agent can search for you based on interior details such as the number of bedrooms and square footage, as well as sales price, general condition and so on. The tools that your agent can access are very effective at searching the thousands of homes that are out there to find properties that are the very best fit for you. Sometimes, however, you will get lucky! Let us show you a selection of great properties, and by all means, ask your agent to include on your tour the terrific saltbox house that you found. Q: How do I obtain financing? A: This is one of the most difficult questions to answer since each person’s situation is unique. Generally speaking, you may have special opportunities if you are a veteran or first-time homebuyer, or if your income meets certain guidelines. Otherwise, you will probably need to meet your lender’s guidelines on credit score and employment history, and some cash for a down payment. One tip: If you rely on employment income, your lender will likely look for two years in the same line of work, so avoid changing professions if you can until after you have bought your house. Lenders have slightly different requirements and interest rates, so shop around and ask your realtor for information. A: Escrow is a state in the purchase of real estate where all of the tasks are taken care of to prepare for the final steps of transferring property from the seller to the buyer. Financing, including final deposit of funds, any required documentation from the buyer, seller or the property, and direction on the final terms of the transaction are handled by a third party called an escrow agent. This is when all of the terms of the sales contract are met so that at the end of the escrow period the property can change hands. Q: What are the steps to buying a home or property? A: We are glad you asked! A sale can be very complex, but here are the basic steps. First, you find a home you like. If you are a home-buying superstar, you have visited a lender or lenders and they have prequalified or even preapproved you for a mortgage. You will know how much you can afford for a home, within a range. Your real estate agent can show you homes from the realtor listings, and you can search for homes on websites such as Zillow or Realtor.com. As real estate professionals, we can tell you, our experience can be extremely useful in guiding you to the kind of home you want and away from potential problems. We can point out potential issues if we see them (the house may need a new roof, a crack in the foundation should be inspected, etc) and help you avoid unnecessary costs such as actions that may cause delays in closing and a loss of your earnest money. Once you find a great home, it is time to make an offer. Your agent will write everything down and present the offer to the seller or the seller’s agent. Hopefully, it is accepted! Then the sale goes to escrow for completion of all of the terms of the contract. The clock starts ticking once escrow begins. The buyer and seller have a certain amount of time specified in the contract to meet all of the requirements of the sale, usually 30 or 60 days. During this time, you will need to provide documentation to your lender and to your escrow agent on items such as how you would like to take title. It is important to try to complete your obligations before the end of the escrow period because it is a probability for a buyer to lose the earnest money deposit and the house if he does not perform in time. Similarly, if a seller does not complete the requirements on time the buyer may choose to terminate escrow and the seller must look for another buyer. So there you have some of the important information that you need to know about the home buying process… but we know you still have questions, so if there is anything we can do to provide answers please feel free to call us. We will be honored to serve you. Let us help you find your perfect home in Lehigh Acres, Fort Myers, Naples and the surrounding area. We will go above and beyond your expectations when you are ready to buy your home. Are you thinking of moving up to a larger home? Maybe the kids have gone and you want to downsize? When you are ready to sell your home, we can help you through the process. Achievers Realty of Lehigh Acres has professional agents who can help you and answer all of your questions to get the most out of your house. We are experts in buying and selling homes in Lehigh Acres, Fort Myers, Naples and the surrounding area. We want to help you make your home selling experience a success. What are the steps that you will need to take when selling your home? If the -exterior of your home is enticing to potential buyers, this can translate to more prospective buyers. A well-kept lawn and attractive landscaping help your home sell for the best price. Repair peeling paint. Does your carpet need to be replaced? If not, be sure to have your carpets cleaned. Paint if necessary. Pay attention to window sills and baseboards. Take a walk through your home. Take note of the details and make any small repairs that you have been putting off until now. Taking care of these details will make a difference in the impression that your home makes to new buyers and will help generate offers. You may have a fairly good idea of home values in your area. However, make sure your hopes are realistic. When you are ready to put your house on the market, ask your agent to help you choose a selling price. Now you are ready to put your house on the market! It is best if you can plan to step out for an hour or so on short notice in case a buyer wants to view your home in Lehigh Acres. Turn on the lights and the fireplace to make your place look inviting. Staging your home is a proven method to make your home more marketable. This includes putting away a lot of your personal items (and this is a good opportunity to start your packing early!) and clear away clutter. Move out unneeded furniture to give that spacious feeling. These steps will help a buyer imagine themselves living there. Once you have an accepted offer, your agent will open an escrow account. During this time all of the requirements in the sales contract will be met. This may include property inspections and lender required repairs. There is a specified time period for this to occur. This will be spelled out in the contract, usually between 30 and 60 days. Once all of the requirements are met, the escrow will close and the property will change hands. After closing, the buyer will take possession of the home and you will receive the funds from the sale. Congratulations! 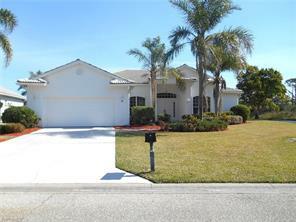 Your home in Leigh Acres or Fort Myers is sold!